I have spent a great deal of time over the years in negotiations. One of the most interesting things is that the perceptions and realities of negotiations are often drastically different. When you think of the world of negotiations, what comes to mind? High-powered suits in closed-door meetings? Lots of angry scowls and fists pounding on boardroom tables? What do you imagine a powerful negotiator looks like? Taller, stronger, and with a louder voice? Like you, most people imagine negotiations the way they are pictured on television in late-night sitcoms. The reality, I have found, looks much different. Throughout the last decade, I have founded, acquired, and sold off several companies. I have negotiated contracts, salaries, and funding. I have done my share of successful negotiating, and I have learned a lot along the way. Today, I want to share some of the lessons I have learned over the last decade of closing million-dollar deals. Here is the thing: When done well, negotiating doesn’t look like it does in the movies. 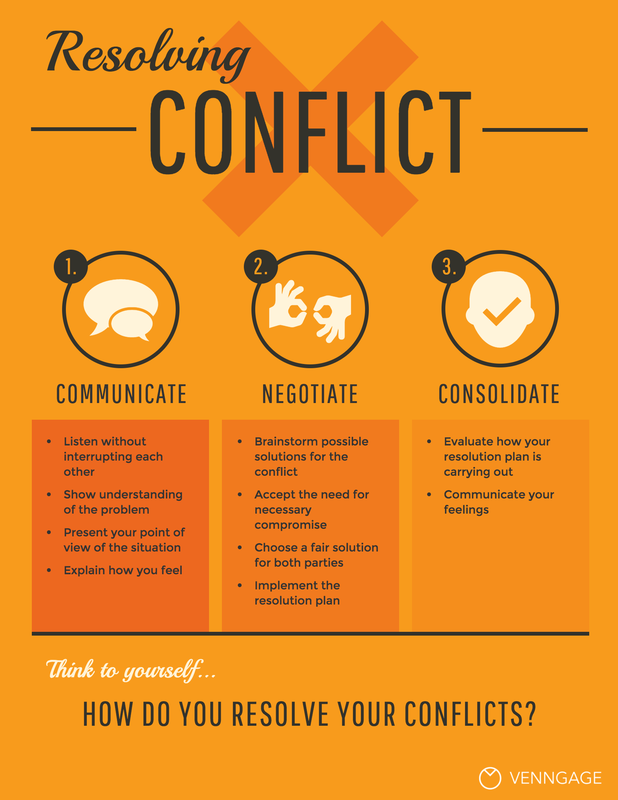 Success.com shares that negotiating is more of an art than a science, and it starts with overcoming these challenges. A powerful negotiator isn’t the one with the biggest pockets, the sharpest suit, or even the coolest swagger. A powerful negotiator is one who understands how people work and what they want. A powerful negotiator is willing to work hard to make sure that everyone in the room walks away satisfied. They are interested in making sure everyone, including their so-called opponents, are happy. Being a powerful negotiator might not be as ‘cool’ as it looks on television, but it can extremely rewarding – and not just monetarily. If you want to be a powerful negotiator, you need to understand people and their problems. That is the heart of the negotiation strategies I want to share with you today. I think you will be pleasantly surprised by how easy it is to leverage these four strategies during your next negotiation. In some negotiations, the problem and the solution might be extremely clear. For example, in a salary negotiation, your goal is to negotiate for more money or maybe even better benefits. In this situation, the problem is pretty clear. In other negotiations, the root problem might not be as easy to identify. For example, let’s say that, after you’ve worked with a company for five years, you go to your boss to negotiate for more paid time off. The problem could be that you need more flexibility in your schedule for doctors’ appointments. Or it could be that you really want to go to a concert, but have used up all your paid time on a vacation. When you understand the true root problem, you are able to offer more (and often better) solutions. For example, if your real problem is that you need to make doctor’s appointments due to a health issue, the solution might be a flexible start time- not more vacation time. Keep in mind, the goal of any negotiation is to solve a problem. However, there are several biases you need to keep in mind. The University of Notre Dame reveals that a cognitive bias undermines decision-making. A powerful negotiator understands that there can be multiple causes to a problem and takes the time to uncover the true cause by analyzing the information they have and being careful to avoid biases. If you want to succeed at negotiating, you need to understand what outcome you are seeking. This means you need to understand the real problem– not just the most apparent one. This is where the immediacy bias comes into play. The immediacy biasstates that humans perceive more recent events and emotions as carrying more weight than events and emotions that are further away from them, whether physically, geographically, or chronologically. This bias can cause even the most powerful negotiator to misidentify the root cause of a problem. For example, you get to work on Monday morning and try to log in to your computer. Your password does not work. Why? You remember that IT planned to update a proprietary security application over the weekend. Convinced that this is the problem, you use your phone to fire off an irritated email to the head of IT. You later find out that the server is down, disconnecting your computer from the network. Instead of considering other root causes, immediacy bias caused you to jump to a conclusion based on the most recent information you had. It makes sense – the lion in front of you is a bigger threat than a tiger that’s 500 feet away. In business, this means we tend to consider the issue right in front of us as being of the utmost importance. There are dozens of biases that affect how we make decisions. Sometimes, however, problems are more complex and cannot be explained by the information closest to us. A root-cause analysis will help you determine and address the true problem. The Five Whys is a simple technique that will ensure that you are addressing the root cause. According to Olivier Serrat, Principal Knowledge Management Specialist at Asian Development Bank, By asking ‘why’ five times, one can usually peel away the layers of symptoms that hide the cause of a problem. When presented with a problem, ask the question Why? five times. I need to increase my organic reach on Facebook. Because it will help me drive more people to my Facebook group and to my website. My site isn’t getting enough traffic to earn money through Adsense, and I read an article that said that Facebook groups and organic social traffic are the best ways to boost traffic. In this case, it doesn’t even take five why’s before you find the root problem – your site isn’t making you any money. The key takeaway here is that a successful negotiator must be able to identify a real problem that has a realistic solution. Taking the time to find the root problem will ensure that you are negotiating for the correct end goal. Don’t attempt to negotiate for solutions that do not apply directly to your most vital problem. Do not allow the immediacy bias to skew your perceptions. Find and focus on the true problem. Perception can have in interesting effect on how we see the world. Take, for example, the following image. It is often used to highlight how perceptions differ. Do you see an old woman? Or a young one? You can use your knowledge of similar effects in negotiations. The framing effectis a type of cognitive bias that causes us to react differently to information based on how it is presented to us. Consider the following example, put forth in a HeroConf presentation. 80% fat-free sounds a lot more appealing than 20% fat, doesn’t it? What if I told you about an innovative tool that would allow you to travel all over the country at rapid speeds. It would decrease your commute and improve your quality of life 10-fold. However, in order for the world to have use of this tool, they would have to sacrifice 3,200 human beings per day. You would say no, I hope. Most of us would. Yetmore than 3,200 people are killed in car accidents every day,and most of us continue to drive to work. As humans, we respond favorably when information is presented in a positive manner. What does this mean in negotiations? Mediocre negotiators enter into negotiations with the goal of winning. This is the incorrect viewpoint. When we frame negotiations as a win-or-lose proposition, we automatically start with the assumption that someone has to lose. When you enter negotiations with a win-or-lose mindset, your goal is to convince the other party to accept defeat. Instead, a powerful negotiator frames the negotiations as a win-win opportunity. As an example, let’s say you have a software startup. Your company offers a high-end social media software platform to enterprise-level clients for $20,000. The best-case scenario is that you get $20,000 per client. However, you can price the software as low as $15,000 and still make a reasonable profit. You are in negotiations with a medium-sized coffee roasting company to purchase your software. They can afford to spend up to $17,000 on the software and still be in the black for the year. Your closest competitor charges $18,000 for similar software. Charging $16,000 allows your company to gain a client and make a decent profit. It prevents your competitor from gaining market share. It also allows the coffee company to spend less than their maximum budget. In this example, everybody wins. So how do you apply this to your own negotiations? Ask yourself How can I frame this solution so we both win? Keep in mind that you are not necessarily changing the end result. You are simply changing the way you frame the conversation. You might have heard the adage never show your cards. This is great advice at a card table, but not at the negotiation table. In fact, I’ve found that, when it comes to negotiations, you should always be the first to say a number. Because the starting number sets the tone for the rest of the negotiation. Being the first to state a number puts you in control of the starting point of the negotiations. This practice is called anchoring. Even if your number is extremely high or extremely low, you are able to steer the remainder of the negotiations by being the first to state a number. Renowned psychologist Daniel Kahneman explained how this works in a video interview with the editor in chief of Inc.com. If I ask you, ‘Is the average price of German cars more or less than $150,000?’ you know that’s too high. And then I ask you, ‘What’s the average price of German cars?’ Now compare that to what happens to you if I ask you, ‘Is the average price of a German car more or less than $15,000?’ What’s the average? The reason why this works is straightforward, according to Kahneman. The first question causes you to think of high-end brands like Audis and Mercedes. So when you go to think of the average, you are already thinking of more expensive cars. However, when he mentions $15,000, you think of Opal and other lower-end brands and base your answer on the average on those brands. To leverage anchoring in negotiations, you must be the first person to offer a number. Let’s go back to the example above, where you are trying to sell your social media software to a coffee roasting company. If your first number is very high, you have biased the negotiations to skew higher. In most cases, this absurdly high number will be disregarded, but you are already angling for a higher price than if you came in much lower. Let’s look at an example that might be more familiar. You are trying to sell a camping stove on Craigslist. You have only used the stove twice, and it retails for around $200. Obviously, the resale value is much lower than the retail cost. You are hoping to get $50 to put toward a new recliner. However, last time you listed an item on Craigslist, the buyer negotiated down nearly half of your original price. With this in mind, you decide to list the stove at $100 OBO (or best offer). Within hours of listing the stove, you get a message offering you $75 for your camping stove. By listing a price you knew was too high, you anchored the negotiations and, as a result,you were ableto sell your item for a higher rate. Anchor the conversation in negotiations by being the first to state a number and you will be in a powerful position. All relationships require some level of compromise. For example, at work, you give up your time and some of your autonomy in order to earn money so you can do things you enjoy, like wind surfing or watching the bulls run in Spain. In a romantic relationship, you give up the freedom to go where you please, when you please, in order to enjoy the companionship of a partner. As a homeowner, you give up money and time to attend HOA meetings in exchange for the use of a community pool or protection of your property value. A business relationship is no different. There is give and take. In fact, at its core, a negotiation consists of two or more parties who seek to reach a mutually-agreeable compromise. Many times, you will have to give something up to reach a mutual agreement. Now, if the other party strong-arms you and forces you to give up something you consider extremely valuable, you will react negatively. You get defensive. The negotiation meeting is now a battle instead of just a compromise. Alternatively, if you prepare for the negotiation by preemptively planning to compromise on one or two factors, you are in a stronger position. You walk into the room expecting to give something up, so you don’t get defensive when you’re required to do so. To prepare to compromise, ask yourself What am I willing to give up? On what areas am I willing to compromise? Focus on what really matters, and don’t let the details derail an otherwise good deal. Keep the areas of compromise in mind so that, when it comes time to make a deal, you are able to react in a positive manner. James is a software engineer and is going into the final negotiations for a coveted position at a popular tech company. James really wants the job, but he also wants a good work-life balance so he can spend plenty of time with his partner and two young children. Going in, James requests an $80,000 salary, three weeks off each summer, the ability to work from home at least two days a week, and a flexible start time. What James really wants is to earn enough money to pay his bills and have a bit of flexible time to spend at home. He is willing to go into the office if he has a flexible start time, or make a bit less in salary if he can work from home and save on gas. By preparing in advance to compromise, James is in a strong negotiating position. Winning, to James, can take many forms, which increases the likelihood that he will walk away from the meeting happy. Preparing yourself for negotiations by asking for items you are willing to give up gives you the same leverage. The secret to being a powerful negotiator isn’t in the bravado. It is in the silence. You do not need to be hard-handed or rude. Listen to what the other person really, truly wants. Figure out how you can work together so you can both achieve your goals. Each of these negotiating tactics is powerful alone, but together, their impact can be incredibly effective. Above all, remember: There is a really good chance you will work with this person again. Keep your interactions positive, be kind, and remember that you are all interested in the same thing: the success of your company and the well-being of all who interact with it. What are your best tips for successful negotiation? The post How to Become a Powerful Negotiator Overnight appeared first on Neil Patel.